I constantly hear pastors bemoan why their church is not more generous. “Our people just don’t give enough” or “We aren’t a rich church” are the two most common replies I encounter. It is so easy for expansive generosity to be considered a gift for someone else. Before you write off your generosity potential, here is my top 10 list of myths about a generous church. 1. Generous Churches are huge. 2. Generous Churches are filled with rich people. 3. Generous Churches are in the Bible Belt. 4. Generous Churches are older and more mature. 5. Generous Churches are growing rapidly. 6. Generous Churches are only about numbers. 7. 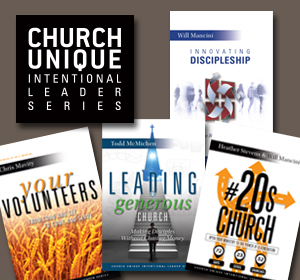 Generous Churches have a charismatic leader. 8. Generous Churches are in big cities. 9. Generous Churches have a large staff and budget. 10. Generous Churches have small visions. Consistently I find that one characteristic above all others can be found every time you encounter a generous church – a generous staff being led by a generous pastor.